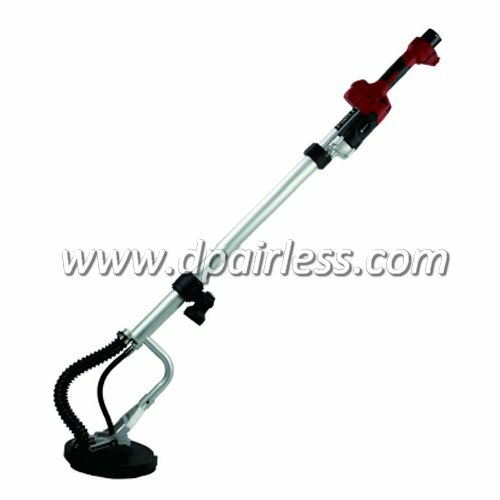 DP-600B drywall sanding tool is specially designed for sanding walls and ceilings and provide a superior surface finish. Get the job done many times faster, with less effort and with better results than ever before. All in the comfort of a more dust-free work environment. The structure is reasonable, beautiful appearance, durable using. and ensures the long service lifetime. It can be connected with vacuum cleaner. The electric motor located in the bottom of the sander, so the user can easily grip the tool and force it onto the sanding surface. Get the job done easily and nice work. The improved quality shaft with double lifetime than othe competitor’s.